It's show time with our favorite dolls! Stamping paper dolls can be so relaxing. 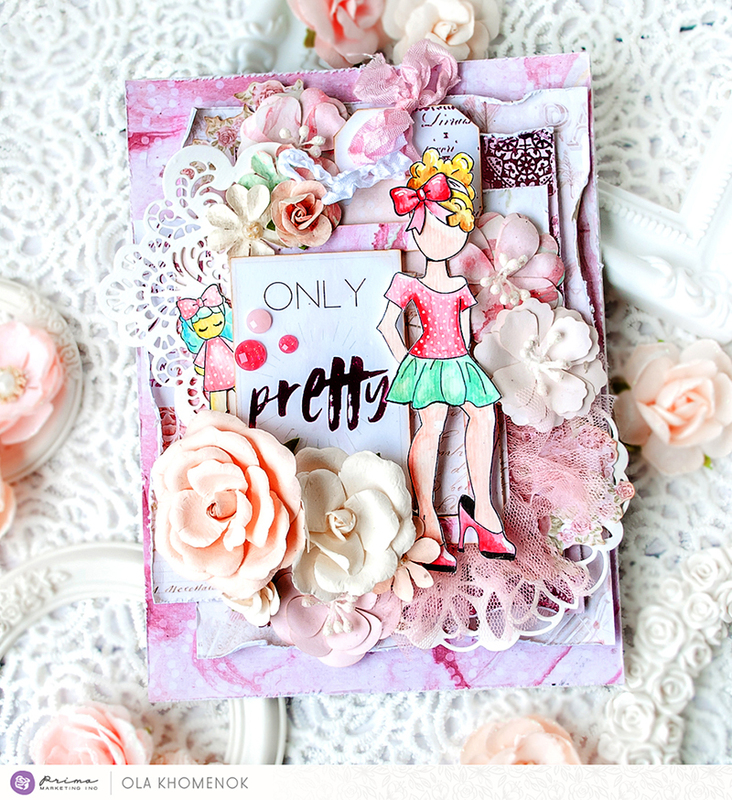 If paper cutting is not your thing try stamping and watercoloring these sweet Julie Nutting girls. The ideas are truly endless and it's a craft that can fit all ages! Let's see what Vero, Ola, and Nathalie have for us today! 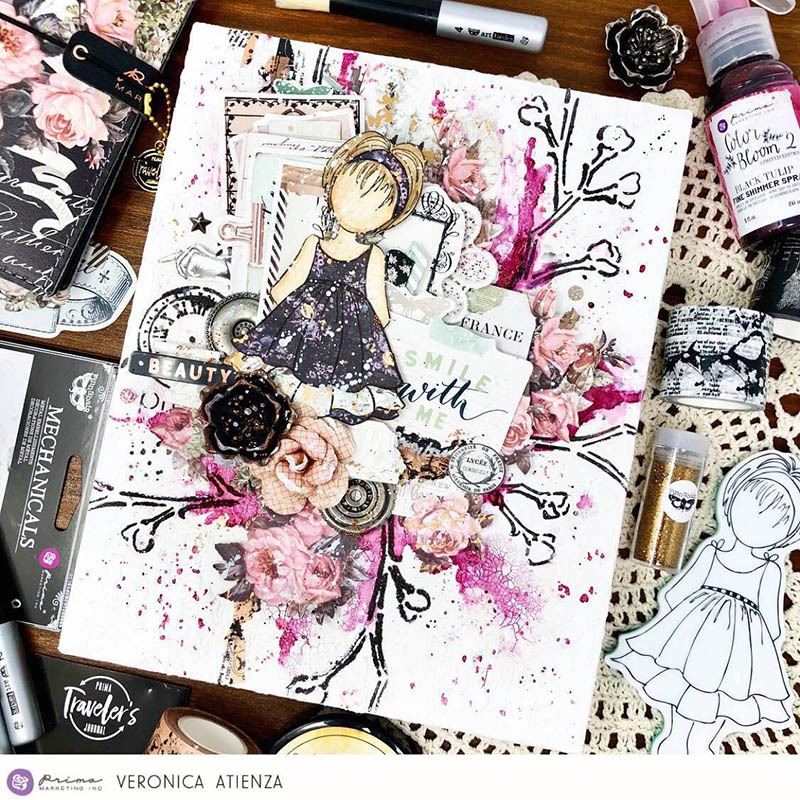 Here is an amazing video Ola prepared just for us to watch her creative process! 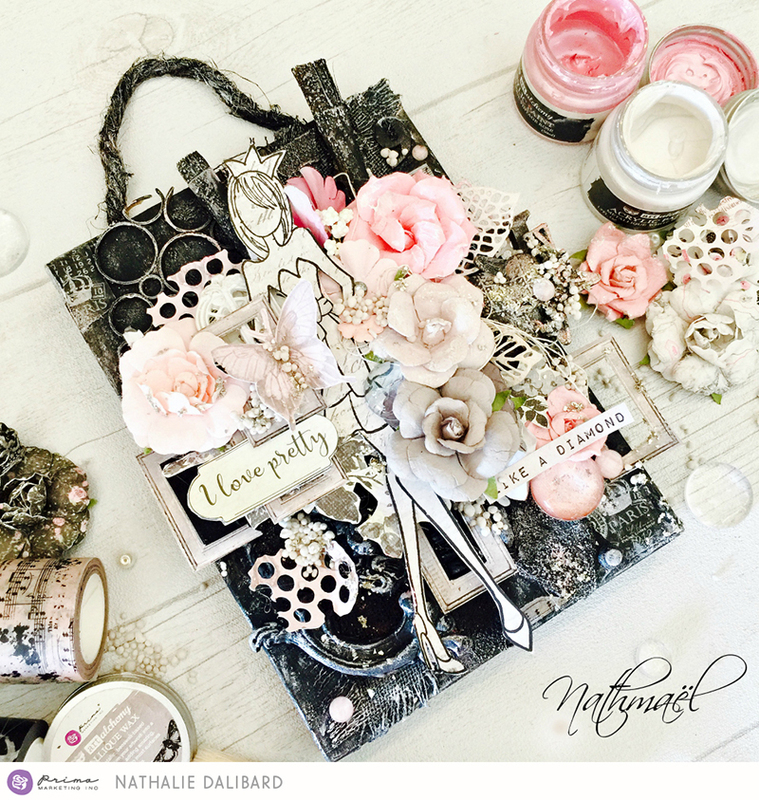 "It’s so easy to make an amazing girly project with Julie Nutting products! 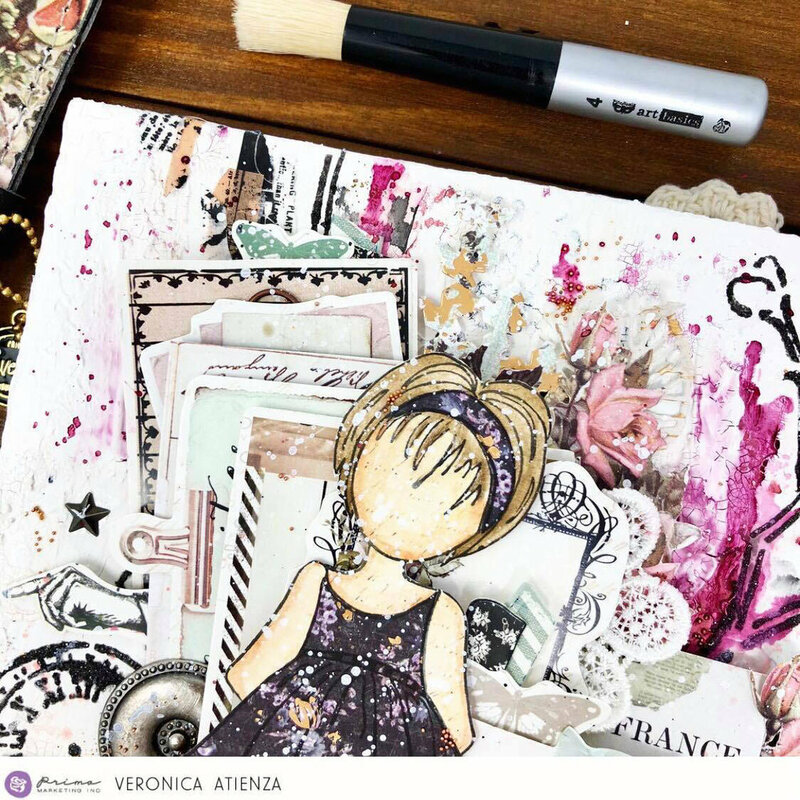 For this project I used an old stamp and the new papers, perfect with the combo : Pink / Grey / Black ! 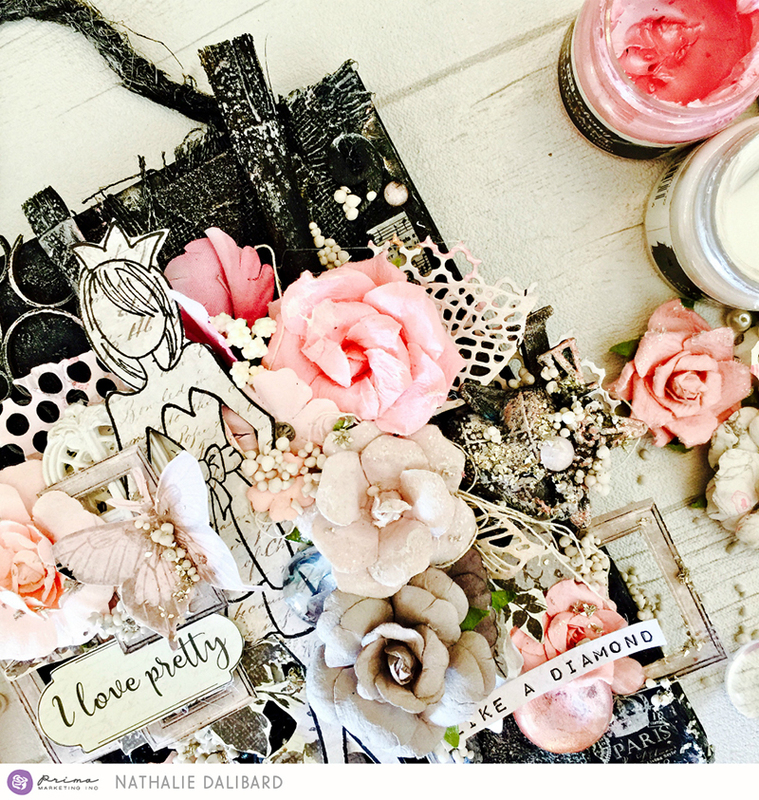 Prima Products: 912413 Julie Nutting - 12x12 Paper -912406 Julie Nutting - 12X12 Paper "Sassiness Galore" -910167 Mixed Media Doll Stamp - 961497 Art Extravagance- Texture Paste - Graphite (8.5 oz. 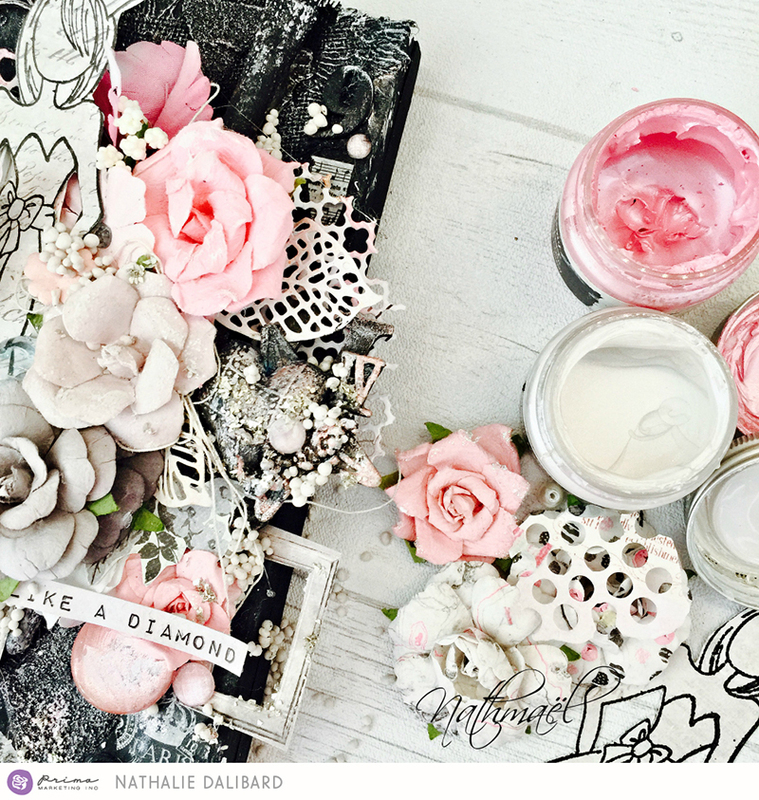 )- 847562 12x12 Salvage District-Loire Valley -963996 Art Alchemy-Metallique Wax-Old Silver - 599942 PTJ Decorative Tape - 963200 Art Alchemy-Acrylic Paint-Metallique Vintage Rose 1.7oz -# 963705 Art Ingredients: Art Stones - 595074 Provenza Flowers Rose Quartz -960261 Vintage Mechanicals - Numbers -814809 Iod Vintage Art Décor Mould - Baroque 4 -583057 Carte Blanche Vintage Wall Décor Base 6"x8"
Thanks for joining us today! Stay tuned tomorrow as we bring you an exclusive project from start to finish!